Rarely is the most structurally interesting book of the year also one of the year's most engaging and touching, but Jennifer Egan reveals a truly magical touch in these pages. This hybrid of novel and short-story collection hops and skips through the decades, moving back and forth in time and even shifting shape (one chapter takes the form of a PowerPoint presentation). Taken together, these tales present us with a rich and complex picture of Bennie, a successful music producer, and his assistant Sasha, capable in every way but for her kleptomania. 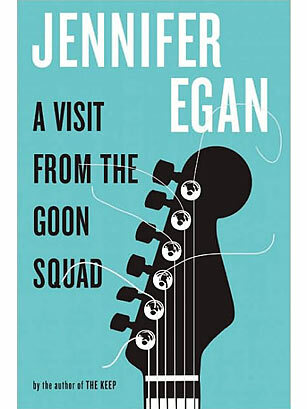 Always clear-eyed, whether visiting the last days of punk or an environmentally distraught near future, A Visit from the Goon Squad is a new classic of American fiction.